The iconic Sforza Castle of Milan is the location for the GNB 2018 cultural event. The event will take place on Tuesday, June 26, 2018, at the end of the second day of the congress. A guided tour of approximately one hour will lead the GNB attendees through the seven centuries-old fortress, which overlooks the biggest park within the city center. The itinerary will begin with a walk over the imposing battlements: up there, the guests will enjoy a unique and breathtaking view of Milan. 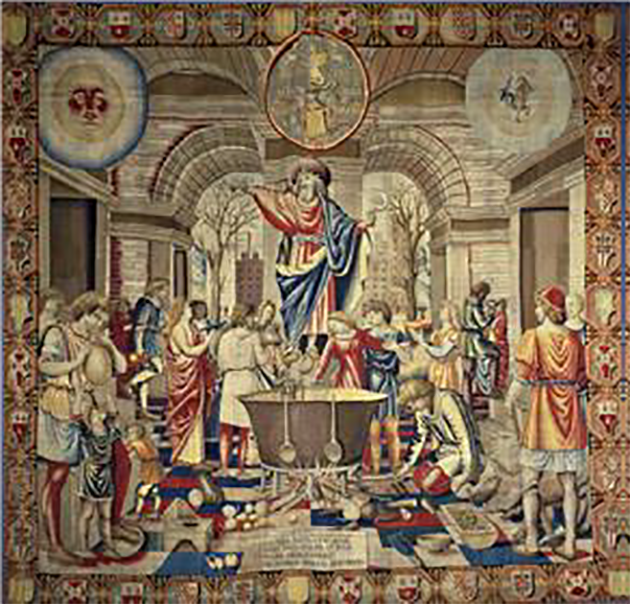 Down at the first floor, the Sala della Balla awaits with its precious tapestry, with Bramantino among the artists. 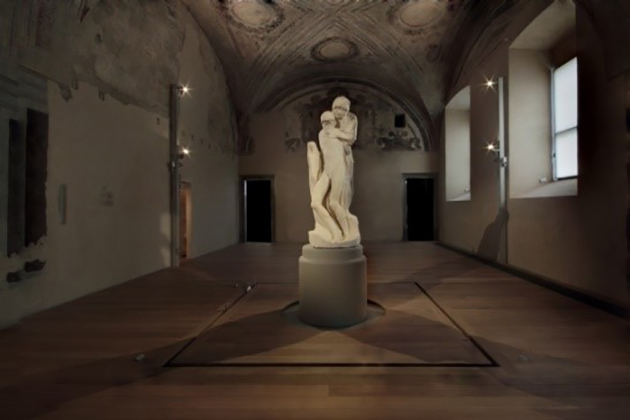 The third stopover will be the hall where Michelangelo’s “Pietà Rondanini” – the last and unfinished masterpiece of the Renaissance genius – is carefully preserved. At the end of the tour, attendees will be gathered in the beautiful Cortile della Rocchetta, inside the castle now closed to the public, and they enjoy the gala dinner in an intimate and exclusive atmosphere. Seven centuries of history make the Castello Sforzesco a fascinating and extremely significant place relating to Milan and its history. The internal spaces, that conserve the Renaissance characters that Visconti and Sforza gave them, are decorated by unique ornamental and architectonical works, some of them made by Leonardo and Bramante. Built to be a defensive fort by the Visconti, converted by the Sforza in a Renaissance court, than used as barracks by the foreign armies after 1499, after World War II the Castle has been converted in a precious chest of unique masterpieces. In its rooms are in fact set up the Milan Civic Museums, whose collections include ancient art, ceramics, historical musical instruments, a drawings gallery, an Egyptian section and a furniture collection. 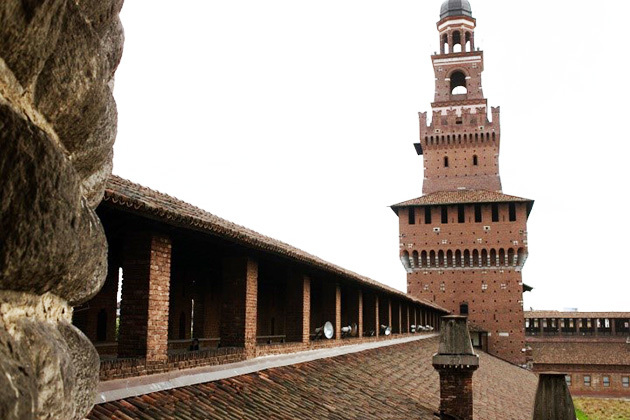 The Sforza Castle battlements and their walkways, that once where used to control the territory around and notice the enemies arrival, can be visited with exclusive guided tours. From there, visitors can enjoy a view of the Castle and a unique city sightseeing, getting to know more about the history of the Castle and its artistic heritage. The Sala della Balla is located at the first floor of the Castle and preserves the Arazzi Trivulzio, in a setting up by BBPR architects. The Arazzi Trivulzio have been drawn by Bramantino and they are dedicated to the each month of the year. The Pietà Rondanini sculpture by Michelangelo, bought by the Milan City Council in 1952, has been recently relocated in the building that once was the Spanish Hospital, used as an infirmary for the soldiers of the garrison. Preserved for over 60 years in the Ancient Art Museum in the famous set up by BBPR architects studio, is now settled in a big room, where visitors can admire its powerful beauty.